Dave joined Advantage Point Solutions in 2017 as Principal Consultant. Dave is an accomplished senior executive, finance professional, and consultant with more than 30 years of success within the global pharmaceutical, healthcare, pharmacy benefits management and manufacturing industries. Dave has deep knowledge of the PBM and healthcare industry including pharmacy economics and distribution, client retention strategies, retiree drug plans/Medicare EGWPs and industry trends. Dave has held Finance leadership positions for multiple Fortune 500 companies including Express Scripts, Inc., Medco Health Solutions, Inc. and Merck & Co. While at Express Scripts, Dave held the title of Vice President of Finance, Gross Margin Planning and Strategic Pricing. In this role, Dave managed the finances, strategic planning, business development, competitive intelligence and pricing across all business units. Prior to this position, Dave was the Market Group CFO/ Senior Vice President of Employer & Key Accounts Group at Medco. Prior to these executive positions, Dave held a range of leadership roles within Medco from 1993 to 2001. 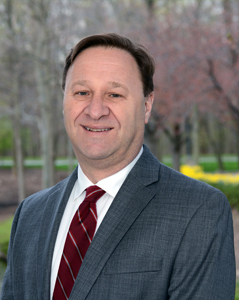 Dave graduated from Rutgers at the State University of New Jersey-Newark with an MBA in Finance in 1987. He attained his BA in Accounting and Business from Rutgers University-New Brunswick in 1980. Dave also is a Certified Public Accountant in New Jersey.